Take part on the summer camps organized by Peridance Capezio Center. 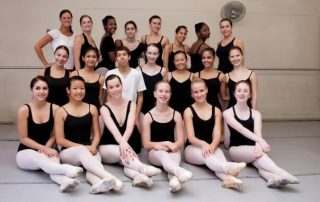 Teen Summer Intensive is a 3-week trainning program designed to develop, increase, and strengthen your technique, self-confidence, and artistry. 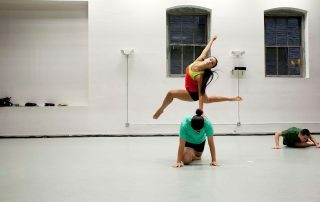 It emphasizes clean technique and self-discipline within a nurturing and supportive environment, and the dancers work to understand the value of dance as an art form. Blueprint is designed to expose dance students to the best instructors in both the ballet and contemporany fields from New York City and around the world. It is designed to develop more career opportunities and enrich their current dance network. It is necessary to pass a casting before the inscripition. Request us for the audition bases! 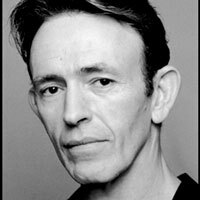 Igal Perry is a world renowned choreographer and dance educator, founder and artistic director of Peridance Contemporany Dance Company, in collaboration with an experienced and knowledgeable faculty. His works have been set on prestigious companies and performed at renowned festivals including Florence Dance Festival and Invito Alla Danza (Italy), Batsheva and Bat-Dor Dance Companies and the Karmiel Dance Festival (Israel), Ailey II and Complexions Contemporary Ballet (NYC), Companhia de Danca de Lisboa (Portugal), and Alberta Ballet (Canada). 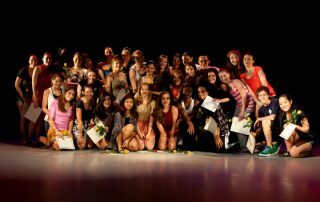 This program, aimed at youngsters looking for alternative training programs in other genres, dates back to 2011 and is carried out in collaboration with the Peridance Capezio Center, boasting more than 30 years’ in New York City. The Executive Director, Yarden Ronen, and his Artistic Director, Igal Perry, were our first point of contact when this program started. 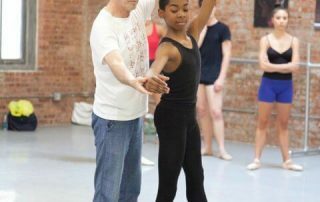 The Peridance Summer Intensive takes place at the Peridance Capezio Center located at 126 E 13th St. This intensive training program is designed for dancers with serious goals to develop, increase and strengthen their level of technique, self-confidence and artistry. An experienced and knowledgeable faculty strongly emphasizes clean technique and self-discipline within a nurturing and supportive environment. In order to prevent injuries and promote wellness, special attention is given to proper body placement and work habits. Beyond working to achieve technical strength, students work to understand the value of dance as an art form and to recognize as well as develop the artists within themselves. The program’s Artistic Director, Igal Perry, is a critically acclaimed choreographer, director and teacher whose work is known around the world and is the founder and Artistic Director of the Peridance Contemporary Dance Company. Mr. Perry’s engagements as a master choreographer and teacher include Complexions Contemporary Ballet, Ailey II & The Ailey School, The Juilliard School, Jacob’s Pillow, The Scapino Ballet & Het National Ballet (Holland), Laterna Magica and the National Ballet (Prague), Architanz (Tokyo), The Royal Ballet of Sweden & Balettakademien and The National Ballet of China, among others. Igal Perry’s ballet class introduces a fresh and open approach to the study of traditional ballet vocabulary, fusing the different elements of ballet from correct placement and alignment to the utmost in technical execution, coordination, musicality, and phrasing. The Intensive accepts students for Intermediate, Intermediate/Advanced, and Advanced levels. Level placement is determined by technical skill and age group, which is evaluated during the audition process and within the first few days of the Intensive. 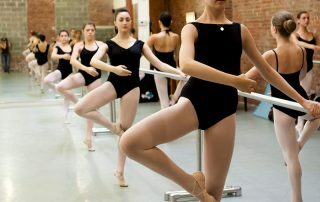 Students train in a variety of disciplines including Ballet, Pointe/Pre-Pointe, Men’s Technique (Advanced level only), Modern, Contemporary, Jazz, Theatre Dance, Pilates and Improvisation. In addition to the 20+ mandatory classes per week, students are permitted to choose a limited number of optional sessions from Peridance’s Open Classes, including hip hop, African dance, tap and yoga. Special workshops and seminars are also given on injury prevention, anatomy and nutrition. Monday through Friday for 3 weeks, dancers train for approximately six to eight hours each day in a variety of disciplines. Ballet, modern, and contemporary classes are scheduled for all three levels of students in the mornings and afternoons, with pointe and/or men’s class for the Advanced students and pre-pointe for the Intermediate/Advanced students. Supplementary classes such as jazz, improvisation, Pilates and stretch are included in the students’ schedules throughout the week. Students spend the end of each day learning repertory from the Summer Intensive faculty and guest artists to prepare for their Final Showcase. Peridance’s Summer Intensive offers the unique experience of taking both exclusive classes designed especially for Intensive participants and also a total of 15 classes of their choice from our Open Class Schedule. For the first four camps, participants stayed at the Stevens Institute of Technology in the lovely city of Hoboken. This university campus on the banks of the Hudson River has views of the Manhattan skyline that come straight out of a movie. A change in the accommodation policy at the Stevens Institute of Technology regarding under-18s meant that we moved to the magnificent Riverhouse apartments in Jersey City, just a stone’s throw from the Hudson River and opposite Lower Manhattan. This was a unique experience for our students: Riverhouse Apartments became a home from home. In 2014 we returned to university campus accommodation and to 182 Broadway where Pace University is located, right in the heart of the financial district of Manhattan. Students make the daily journey from the university accommodation to the training centers under the supervision of our staff, in this case from Manhattan to Queens on public transport (subway). The dance program in NYC is rounded off with a large number of tours, visits and shows such as: Macy’s Fourth of July Fireworks, Central Park, Empire State Building, Midtown, China Town, Financial District, Battery Park, Statue of Liberty, American Museum of Natural History, Jersey City, American BBQ, Gala Dinner and outdoor movies. This program ensures youngsters are immersed in both the language and culture of the USA, spending entire training days alongside teachers and youngsters, almost all of whom are North American! Students can select from a variety of techniques and styles, dancing alongside New York City pros! Live like a real New Yorker!